It goes without saying, as a contractor seeking new opportunities in the current jobs market, having an up-to-date CV that really sells your capabilities and achievements is absolutely essential. Your CV is your own personal marketing tool and it is vital that the right information is included and presented in the most effective way. Recruiters will only spend 20 or 30 seconds reviewing your CV, so it is crucial that the key information is communicated effectively. Your CV is the most important document in your career, so do make sure it is working for you and NOT against you; don’t be the best kept secret! 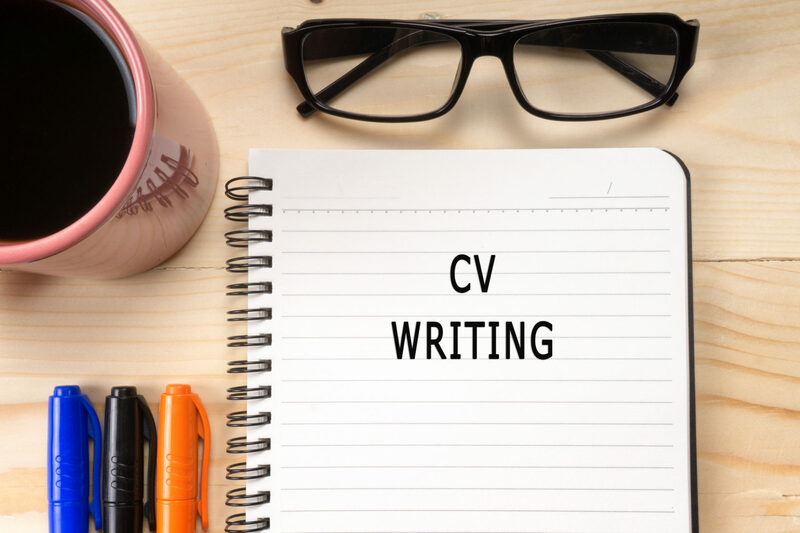 Also, having an up-to-date CV on hand can help boost your professional credibility when meeting with potential clients, and it’s a great way to keep track of your accomplishments. Never lose sight of the fact that your CV has one key purpose to get you to an interview! Remember you are competing against other contractors who may or may not have a better skill-set and experience but sometimes that can be irrelevant. It can often be the best presented and effective CV that will allow the recruiter to identify a relevant match. Traditional CV vs Contractor CV:A contractor CV is the distant cousin of the traditional employee CV alike it many ways, but with several important differences. Keep in mind what you’re being recruited for. You’re not there to join the rank-and-file staff you’re there to solve a problem; often one very specific problem. Use this to your advantage to make your application stand out. Always tailor your CV to the job description / industry you’re going for. Print the job ad out and go through with a highlighter marking the key skills and experience they want. Make sure you have all the skills required and that it’s clearly evident on the first page of your CV. Ideally, a CV should just be 2 pages. Its sole job is to get you an interview so always focus on “who’s going to read this and what do they want to know? Then tell them just that. Put all the good stuff on the first page. Recruiters decide within 6 seconds if your CV is worth reading to the end so make sure they know by half way down the first page that you have what they need. The best way to do this is to have a ‘key skills’ section where you summarise your skills. It’s also a good idea to list your technical proficiencies at the top of page 1 if they’re vital for the recruiter. Don’t make them work to find your information! The company might use keyword software to scan your CV before a person even reads it. Use the LinkedIn Projects section to add impressive projects to your profile. You don’t even have to name your client, you can just say “a medium sized electronics company” for example, then outline the brief (their problem/pain point), what you did, and how what you did made a difference and solved the problem/met the brief. Get as many Recommendations on LinkedIn as you can. You want them to say you were reliable and did the project on time, within budget and to state any measurable improvements/difference your input made. As a contractor, your work is your business and potential clients will want to see examples. Highlighting your problem solving skills and initiative – build a collection that illustrates your best or favourite projects, and link these directly to your CV. Examples could include a case study, a link to a marketing campaign, or photos or video clips of your work. In addition to sample work, potential clients will also want evidence that you’re able to deliver what you sell. Leverage your network to obtain client referrals and testimonials that you can direct interested clients to. Because you are likely to share your CV in a digital format, including relevant links is a helpful way to give people a more complete picture of who you are and what your business does. The two most important sites to link are your LinkedIn profile and your business website. Include these hyperlinks along with your contact information at the top of your CV. Maintaining a social media presence, creating a personal website, writing blogs, or volunteering for speaking opportunities are all ways to establish industry recognition, respect, and expertise. As you build your brand, be sure to cross-link all of your pursuits to build a cohesive picture of your services. And, of course, as you gain new business, expand your network, and complete exciting projects, be sure to keep your CV up to date. Another quirk of the contractor CV is your education may only be a footnote or, depending on how many years you’ve been at it, completely irrelevant and omitted entirely. While not all education is essential to add to your CV, if degrees, licenses, accreditation, or certificates are relevant to your line of work, create a separate section to list relevant educational achievements. Relevance is key! Perhaps even look at organising your CV by skill rather than in chronological order by project. Highlighting your expertise also helps potential clients to quickly scan your skillset and see how your experience aligns with their needs, rather than having to sort through a long list of projects. If you’re not sure where to start, think about what you’re known for. What makes your business exciting, and what are you best at? Narrow down your list to three or four primary skills, and create a section on your CV for each area of expertise. Then, list key accomplishments for those sections. Highlight specific projects that clearly demonstrate how you achieved each skill. If possible, provide a list of client names relevant to that section. Keep your CV concise. Potential clients will likely only do a quick scan, so you don’t want them to get lost in details. Limit yourself to one page, omit needless words, display your key qualifications near the top of the page, and make sure any experience that you list is recent and relevant. Moving forward, aim to update your CV about once a month. Remove anything that is old or irrelevant and add in any short-term achievements. Perhaps you’ve added a new service, or taken an online training course. Remember, your CV is a marketing document that promotes your personal brand as part of your company – make sure it showcases your unique expertise and services. Once of course you land that lucrative contract, contact expert contractor accountants, Contracting PLUS, and we will ensure that you are set up in the correct business structure and are fully tax compliant. Established in 2002, we have grown to become the market leader in providing accounting and taxation services to professional contractors and therefore understands their requirements and needs. Providing a complete suite of solutions from Managed Director, Personal Limited Company and Umbrella Solutions, Contracting PLUS offers free consultations to advise on the optimum business solution for the professional contractor, and will fully assist in getting you up and running immediately, allowing you to focus on your contract role.